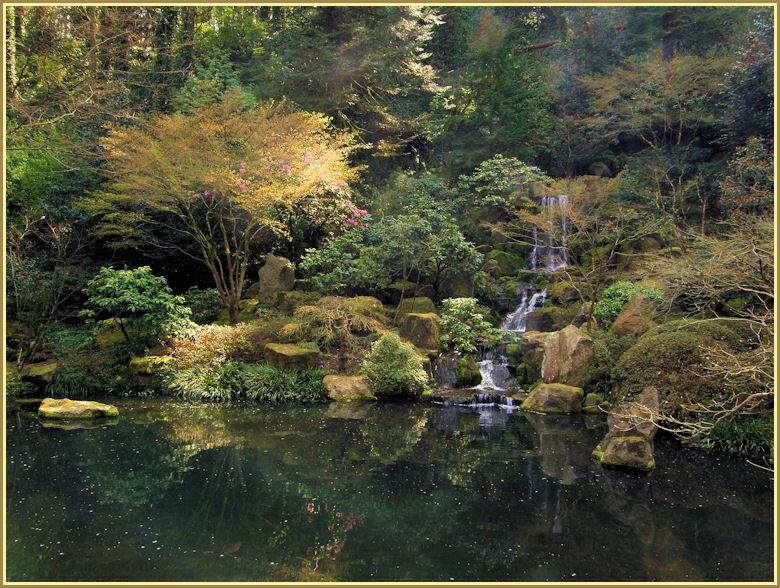 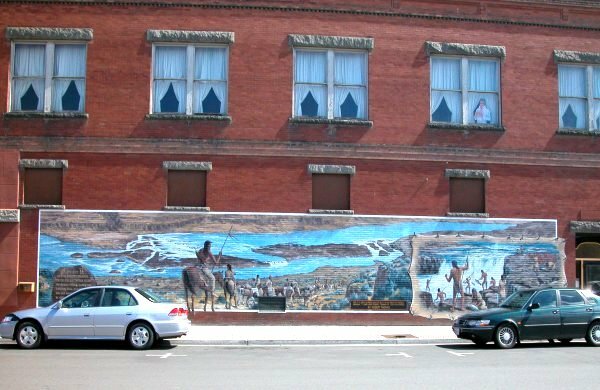 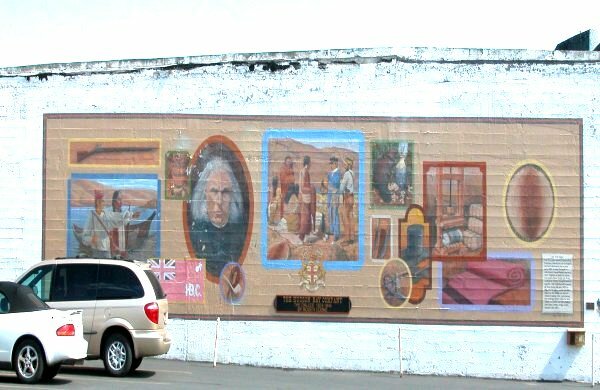 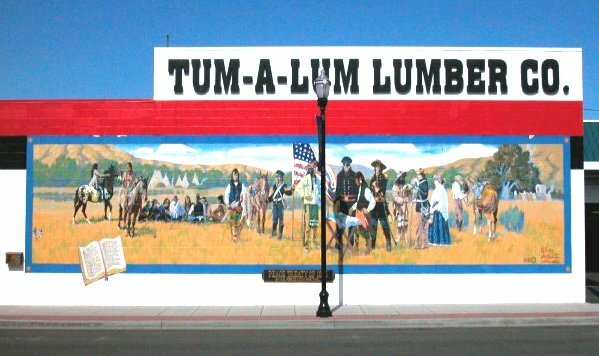 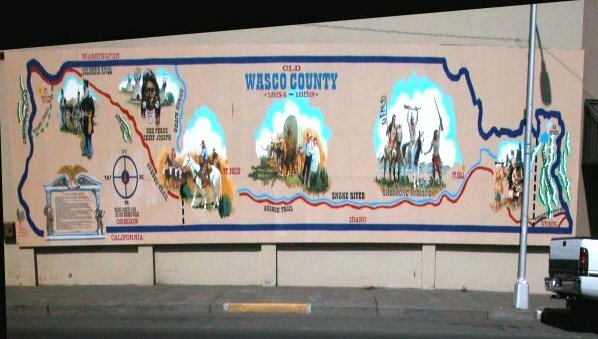 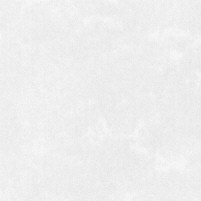 The Dalles Mural Society organizes artists to paint murals with historic themes in The Dalles. 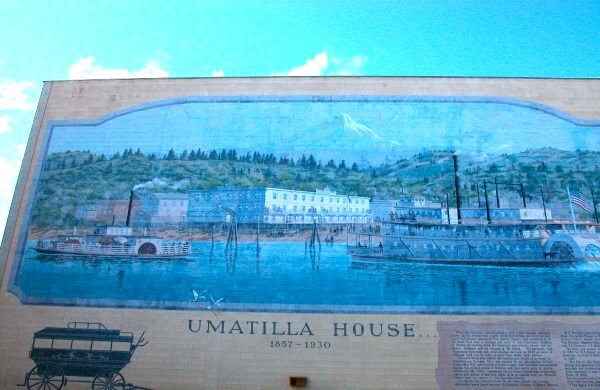 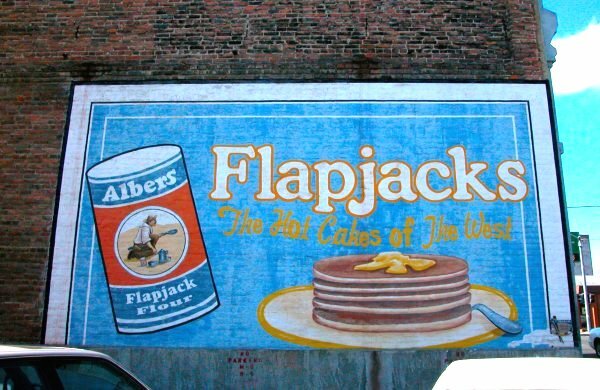 Here are some of these artistic and informative murals. 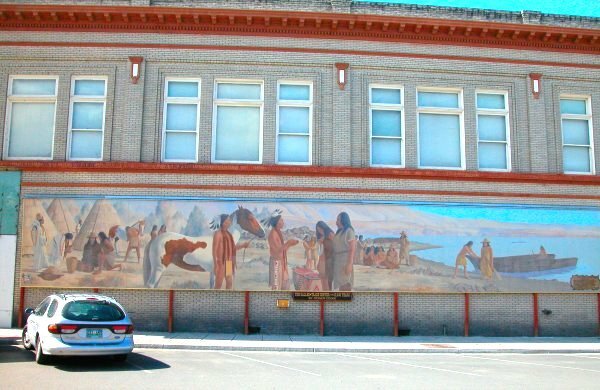 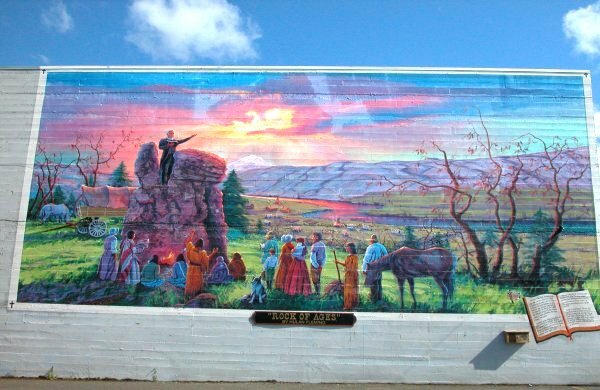 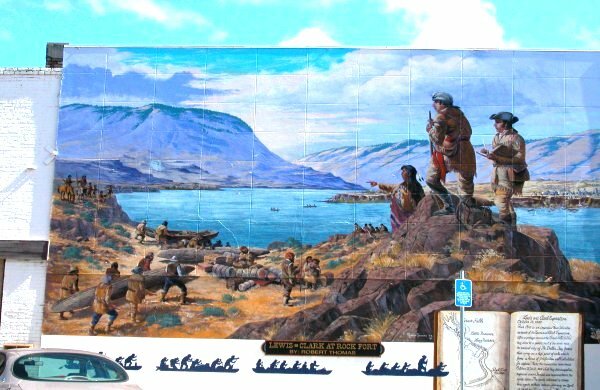 "The Dalles, Northwest Trading Center for 10,000 Years"
More information is available at the The Dalles Mural Society website.